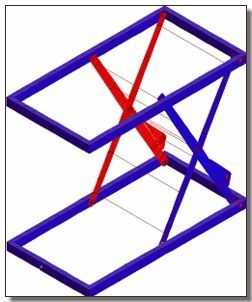 Imagine reducing 16% of the weight of a scissor lift platform by performing FEA. 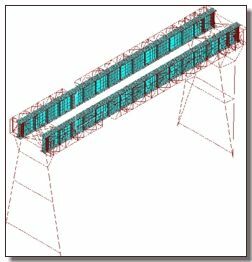 This has a cascading effect on the costing of the entire platform starting from load carrying members, bearings, actuators, oil circuits, reservoirs, material consumed, transportation, operational efficiency and lift time ! Not to mention profitability and customer satisfaction. An EOT Crane handling molten metal cannot stop or fail and has to perform continuously without any downtime. Imagine thermal cracks developing on the crane leading to vulnerability in handling molten metal ! An easy-to-transport-assembe-disassemble-re-assemble crane needs to be provided for lifting over 100 Tonnes. Weight reduction, failsafe performance and above all cost savings are mandatory objectives that cannot be compromised. In an RFQ situation wherein the specification in a tender document states usage of a particular regulatory code, every manufacturer estimates Bill of Materials ( BOM ) for costing with very little deviations in design. Margin of profit is determined only by cost overheads, operational efficiency and expenses. In such a situation if the BOM reflects a 10% reduction in cost without compromising on reliability and quality, that significantly impacts the bottomline profitability. Why EGS India for Material Handling FEA? Trusted by reknowned Manufacturers of Material Handling Equipments in India and rest-of-the-world. 85% of the cost of a material handling equipment is determed by design.